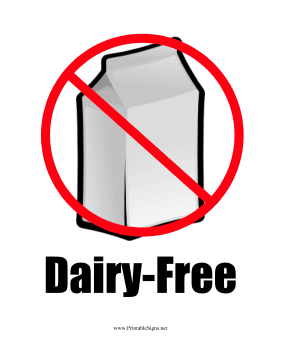 The milk carton stands in for all dairy allergens in this printable sign. The sign informs people that food items and eating environments are safe places for people who are lactose intolerant or who have a milk allergy. It could be used in cafeterias, restaurants, coffee shops, or anywhere that people who are dairy-free might eat together.